I’m a tad behind on the blogging front at the moment so this is a bit of a late post, but it’s a make-up range that just needs to be mentioned. Aveda have had a make-up range for a while now but it’s been somewhat under the radar, but this new, refreshed collection is absolutely lovely. 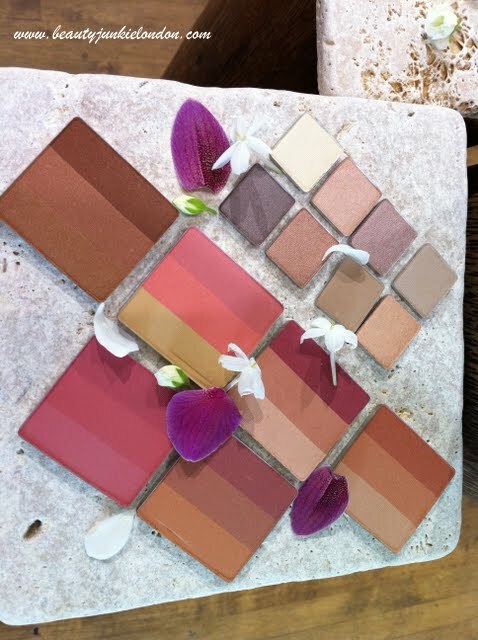 The reason the range stood out to me is the looks created to promote the new products. 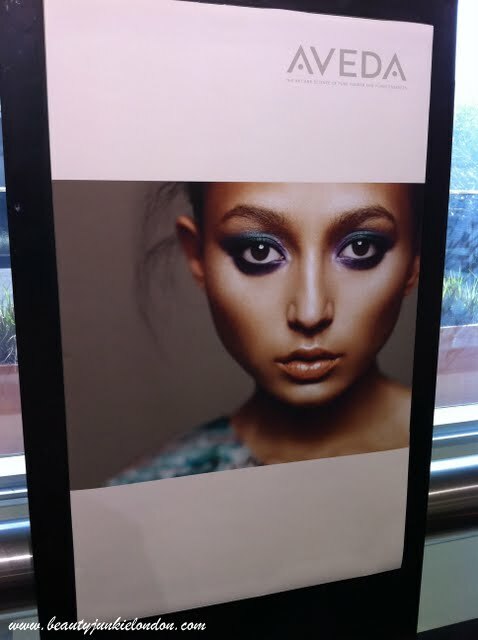 The eye make-up in the image below struck me as so totally gorgeous. The colours are stunning and not at all what I would have expected from a natural beauty brand. Plus doesn’t hurt that teal and purple are my favourite colours. Below are some snaps of the products that caught my attention -the bronzers, eyeshadows are all gorgeous and can be combined into customisable compacts to make up a personalised look. The only downside to this is that you can’t just buy one product easily as they all come in pan form. 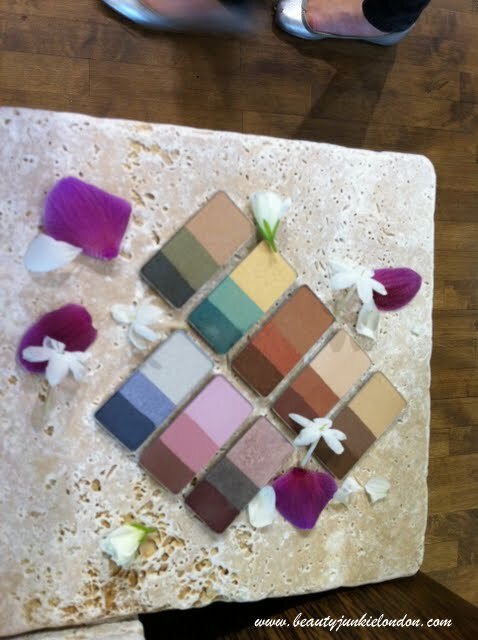 I really like the range of trio eye shadows – with the purple/khaki/taupe shade on the right of the bottom row of the pic above being my favourite. The bright peachy shade of blusher is lovely, with the yellow/gold shade – they blend together to make a gorgeously flattering shade. Below is a snap of the range of compacts, all in different sizes – the smallest compact also has a clever little feature on the join where you can carry a lipstick too which I haven’t seen on a compact before. They also include nicely sized mirrors. I have a couple of bits from the range to have a proper play with, so will get on that and report back! Until then, what do you think of the range?? the compacts looked fantastic, that’s what i have been looking for, since i found it troublesome it bring compacts of foundation, eyeshadow out in my travel bag. 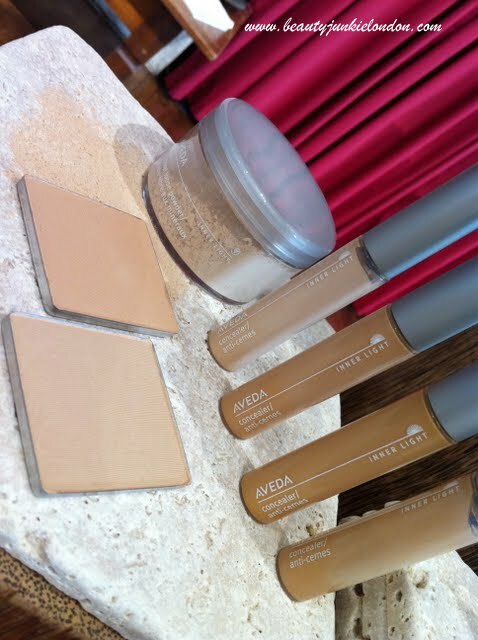 I’ve worked with Aveda makeup for a few years and it has always been awful- the eye shadows had no pigment, the lipsticks had no staying power and the foundations were very chalky and didn’t match any skin tones correctly. I think that’s why they have re-launched them, totally reformulated. So hopefully see an improvement?